I have purchased both the Pedors Classic Max and the Pedors Classics. The Classic Max was just what my husband needed for severe edema of unknown origin. When we went for his Doctor appointments he had been wearing old stretched out slippers:(. He was very embarrassed to say the least. When we discovered the Pedors shoe store, it was a blessing. As the swelling gradually went down, we purchased the regular Classics, so we're now prepared for any amount of swelling. It is a pleasure to do business with Pedors, as they put the customer first. They answer any questions you might have and the shipping and handling is beyond anything we have encountered on line. All the paperwork you might need to make any exchanges is included in your order, so what could be better? 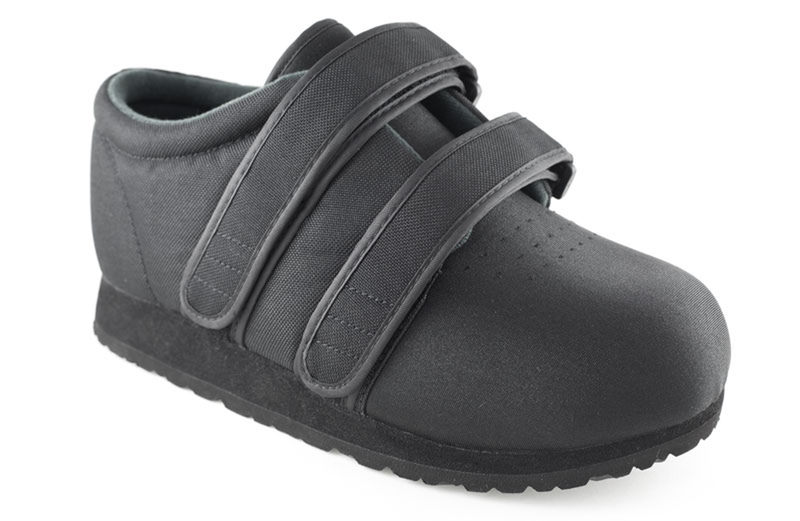 My husband's life is a lot easier since purchasing these most comfortable shoes, as he also has spinal issues, so the Velcro is great!!! Thanks Pedors!!!!!!!!!!!!!!!!! My 87 year old Dad has Lymphedema he recently had surgery.After surgery he was discharged to a Rehab. Center/Nursing home.While in the nursing home he used the Pedors shoe with the neoprene top to take his exercise, his feet are normally 4e wide but, with all the fluids in the hospital and not being able to keep them elevated like at home in his recliner, they swelled even more.The Pedor 5e gave him room to move comfortably! I can't exactly remember when I found Pedors, or how they found me, but I am just very glad we found each other!! I work for an airline as a gate agent at an large airport, and I am on my feet from the moment I get there until I leave. I do a lot of walking from the gate to gate areas. 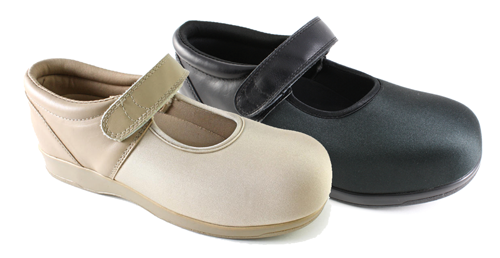 Having rheumatoid arthritis, fibromyalgia, and many feet problems I must have tried EVERY shoe out there, including sneakers to work at one time. Even in desperation I tried men's shoes! My feet are very wide and fit was an issue and my feet would always ache!! Also I wanted something that looked at least a little pretty. Then the heavns parted, the birds sang, and somehow I found the Pedors web site. When my first pair came, the cute Mary Jane and I tried the on, OMG!! They felt WONDERFUL!! I felt like I was floating! There was even room for my orthotics!! Since that day many years ago, there is no other work shoe that goes on my foot. I only buy Pedors. In fact, I have recommend them to passengers as well as coworkers. Can not say enough about them!! 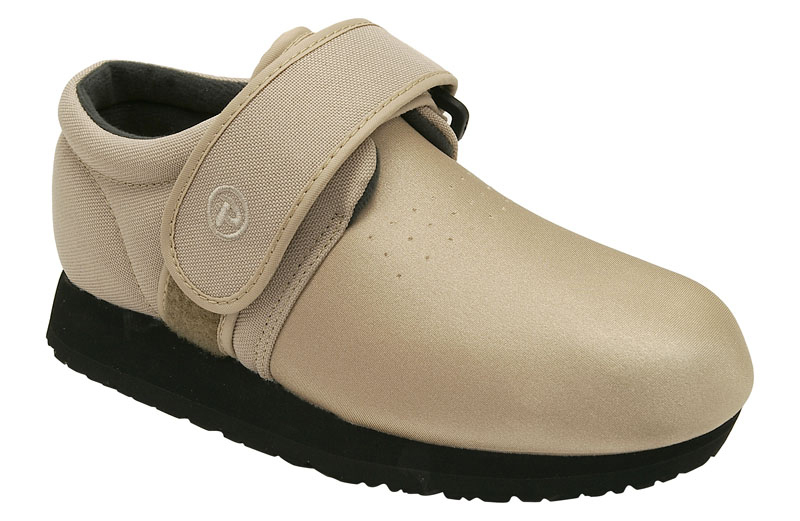 I have also bought various color Mary Jane's to wear outside of work. GREAT SHOE! GREAT VALUE ALSO!! I have had peripheral neuropathy with the accompanying ulcers, and Charcot foot for many years. And for most of those years, no matter which shoes I wore, I was never without open sores on my feet. But then one wonderful day I discovered Pedors Classic, and soon after, Pedors Classic High Tops!! It is hard to find the words to tell what big changes they have made in my life! The Classic worked well for many years and I still wear them when I need to dress up a little and don’t plan to leave my power chair. But the rest of the time, I wear the Classic High Tops!! 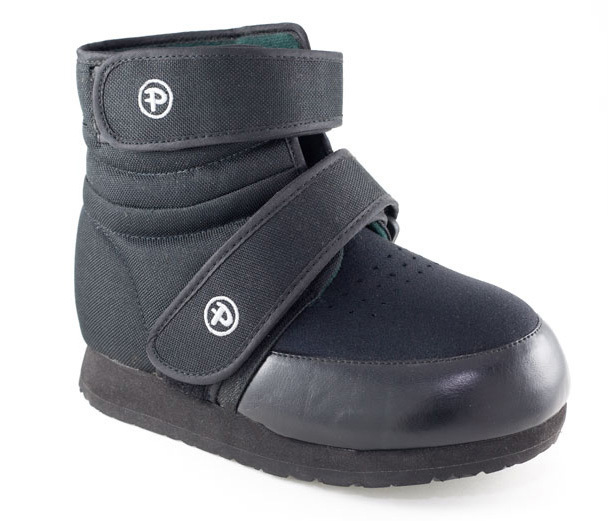 They keep my feet from rolling over and support my ankles whenever I need to transfer or take a few steps, and I haven’t had open sores since I began wearing them more than 10 years ago!! !